Which registry sections are being scanned? 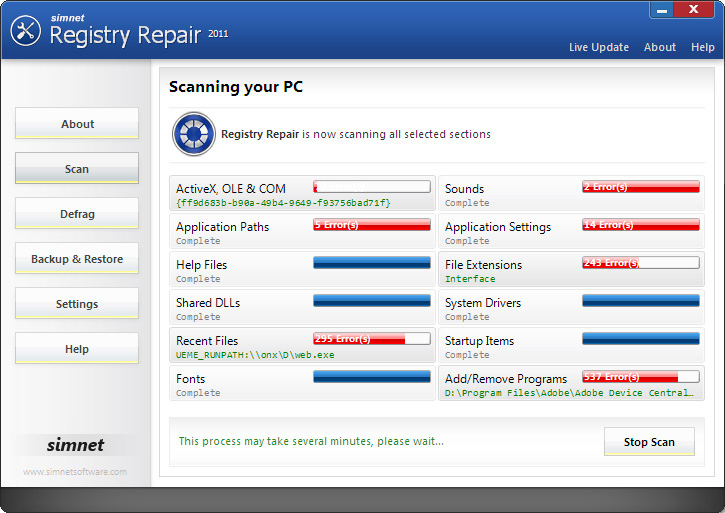 Simnet Registry Repair diagnoses and repairs all your PC errors through the 12 dedicated sections of the windows registry. Minimal installation. Setup file is ~700KB. Low memory usage. Idle memory usage in Windows 7 Home Basic is ~8MB. Advanced Parallel Scan. 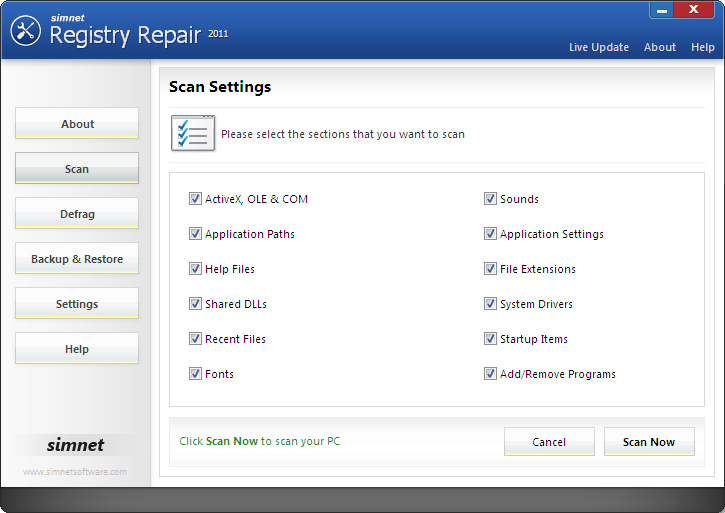 Scans multiple registry sections at the same time. Intel Certified. Enhanced for Intel® Multi-core. 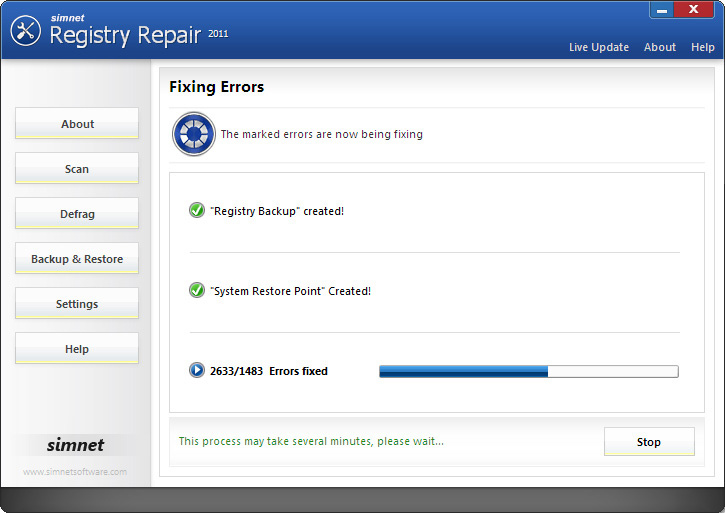 What Simnet Registry Repair does to boost your PC performance? 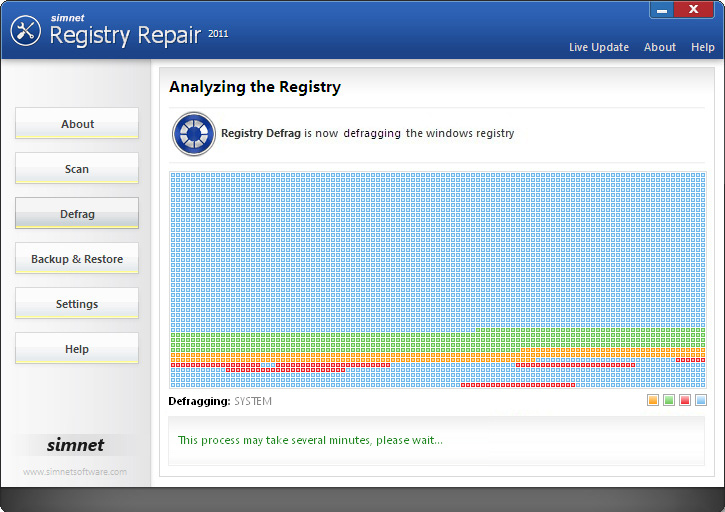 Defragments to eleminate structural problems in the registry.